CleanFUEL India Doing OUR Share For Clean Air !! Doing OUR Share For Clean Air !! With its first Company owned Station commissioned at Nathdwara, Rajasthan running very successfully, CleanFUEL India has become one of few players in the Industry, which are vertically integrated to include not just its retail network of Auto LPG Dispensing Stations coming up across the country, but also its CFT Auto LPG Dispensers range which are now installed in over 60 cities nationwide, covering 13 States in India, over the past few years. Additionally, CleanFUEL India Autogas Stations, both Company Owned & Dealer Owned, are also running in 8 Indian Cities, covering 5 States in a pan- India network covering the Indian States of Rajasthan, Haryana, Madhya Pradesh in the Northern & Central parts,Gujarat on the Western borders and Nagaland on the Eastern borders of the country. Its first Retail Outlet, at Nathdwara, was also Rajasthan's State's first private sector Auto LPG Station. 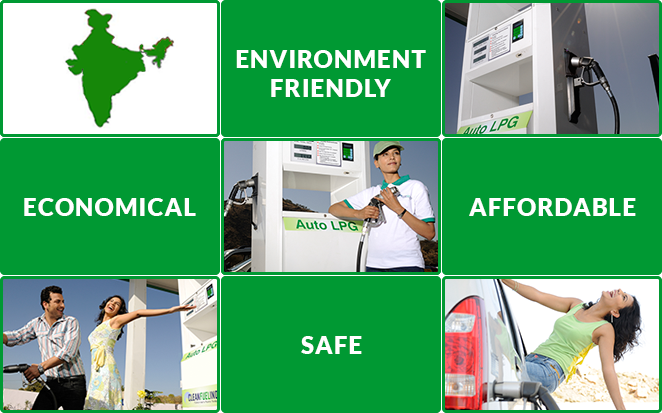 CleanFUEL India's Auto LPG stations are shortly coming up in states of Uttar Pradesh and Uttaranchal as well. A UL Certified, ISO 9001:2000 Company, CleanFUEL India has been at the forefront of the Indian Auto LPG Industry backed up with CleanFUEL USA's global experience in more than 25 nations over the last two decades. ©2005-14 CleanFUEL India Autogas (P) Ltd. All rights reserved. Web Design & Development by Quarter Pie Interactive.